and how they are engaging with your site. 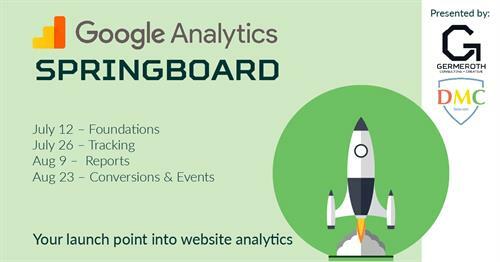 This workshop training program gives you a solid foundation in digital analytics core principles and understanding of Google Analytics reports. The training is broken up into 4 easy to digest workshops taking you from a beginner in Google Analytics to someone who is confident in their website’s data collection and analytics. It is a great way to prepare for industry recognized Google Analytics Individual Qualification (IQ) Certification.